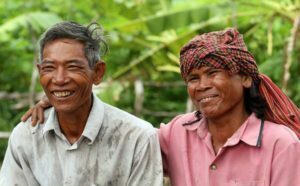 How are FTA and CIFOR addressing gender and rights in forest and land use? CGIAR Research Program on Forests, Trees and Agroforestry (FTA) gender scientist Bimbika Sijapati Basnett from the Centre for International Forestry Research (CIFOR) recently gave a speech during the Swedish royal visit to Indonesia. It was with these words that FTA gender specialist Sijapati Basnett concluded her speech during the visit of their Majesties the King and Queen of Sweden and distinguished guests from the governments of Sweden and Indonesia at CIFOR’s headquarters in Bogor, Indonesia, on May 22. During her well-received speech, Sijapati Basnett gave a brief overview of how CIFOR and FTA are addressing gender and rights in their research globally, including in Indonesia. In the process, she drew on her own views as well as FTA and CIFOR’s research on gender and forestry. The forestry sector has a long history of engaging with gender issues, but for gender issues to be considered seriously in forestry policy, practice and research, they have to be framed in terms of how gender equality and women’s empowerment can contribute to sustainable forest management, reduced deforestation, poverty reduction and other environmental and development goals. In her presentation, Sijapati Basnett explained that though these concerns are relevant, they are not adequate for three important reasons. First, why can gender equality and women’s rights not be goals in and of themselves? Why must they be viewed principally as instruments for reaching other objectives? After all, glaring and persistent gender inequalities in rights, resources and representation are a pressing challenge across developing countries. The forestry sector has much to contribute to addressing them. Second, women, like men, are not conservation-friendly if there are no adequate incentives in place. And finally, when women are added into existing forestry and conservation programs without thought about how these policies and programs could also be beneficial to them, women’s presence is tokenistic. Worse, existing gender inequalities can be heightened because women then need to add participation in forestry projects and programs to everything else they do every day. Sijapati Basnett mentioned that she had witnessed a considerable change under the global framework on development since the mid-2000s. The Millennium Development Goals (MDGs) recognized gender equality and women’s rights as goals in and of themselves and also integrated them into other development goals. But the Sustainable Development Goals (SDGs) have gone further and included many of the underlying causes of gender inequalities (such as access to land and resources or distribution of care) that women’s movements have advocated for generations. Sijapati Basnett continued by mentioning that the Swedish government’s Feminist Foreign Policy 2015-2018 and efforts to channel support and funding in ways that strengthen women’s rights, representation and access to resources adds further weight and legitimacy to these global agreements. Sijapati Basnett explained that CIFOR and FTA have embraced these broader changes and aligned their work within this global framework in terms of the research they undertake, how they communicate their work, and the range of actors they work with to ensure that gender equality and women’s empowerment objectives are at the heart of sustainable development debates and solutions. Forest and land rights, where she mentioned the glaring disparities in rights, although responsibilities for forest management are shared between the genders. 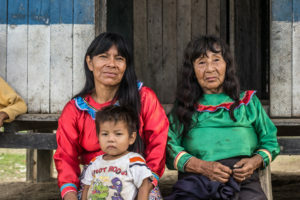 Research findings from Uganda and Nicaragua suggest that when women feel their rights are secure and not dependent on men’s, they are more likely to make investment decisions that are good for them and good for forests. Climate change, where gender is a critical and cross-cutting component of CIFOR’s research on REDD+ and work on developing principles and guidelines for integrating gender in REDD+ design and implementation. Corporate commitments, where work is being done toward expanding the global debate on corporate commitments to eliminate deforestation from supply chains by monitoring whether women have a meaningful voice in decisions related to land conversion; whether corporate practices uphold global standards of ‘decent employment’; and whether services that are extended to smallholders and local communities target both women and men. Migration and mobility, where the impact of male out-migration for women who are left behind can be dramatically different depending on what forest management institutions and social structures they have in their communities. Thus CIFOR and FTA are working alongside research and development partners to understand the kinds of policy reforms, institutional changes and cultural shifts needed to support women who are left behind to be at the forefront of forest management efforts. Sijapati Basnett’s speech provided an overview of how FTA and CIFOR are integrating gender in new and emerging areas but also reminded the audience of the challenges that lie ahead. By Manon Koningstein, FTA Gender Integration Team. For more information, consult the press release. This work forms part of the CGIAR Research Program on Forests, Trees and Agroforestry. We would like to thank all donors who supported this work through their contributions to the CGIAR Fund.